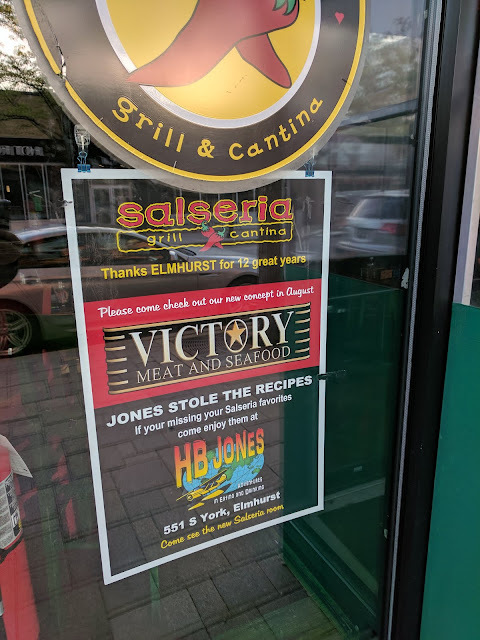 If you walk by the Salseria on the east side of York Street right in the heart of the City Centre, you'll come across a few signs announcing the closing of the restaurant including the one above and the one below that say "See you Soon" and "Thank you Elmhurst for 12 great years". They also herald a new concept coming to the location: Victory Meat and Seafood. 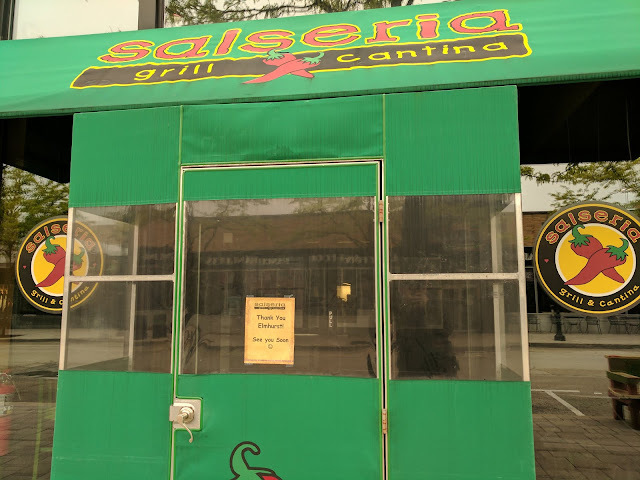 When I came across the news of the Salseria being closed, I had to ask Nat how many times we went there. The answer? Just twice. And both times, I guess we didn't love it. But other folks must have, right? No way a place survives for 10+ years without being pretty good? The new place is going to feature "5-varieties of fresh Oysters daily", so it will be a bit different and will likely fill a need in town, but because they're going to be opening in August of this year, we'll have to think about coming back as 'tourists' to the Elmhurst City Centre. So long, Salseria. We hardly knew you.